Ally’s House was established in 2004 as a 501(c)3 non-profit organization to provide support to pediatric cancer families of Oklahoma. This support is primarily in the area of financial assistance. To date, Ally’s House processed more than 1,200 financial assistance applications for our families. While other organizations do important work to advance medical research or advocacy, Ally’s House is the only Oklahoma non-profit providing financial assistance to individual families during their journey, regardless of what form of cancer their child has. We believe this mission is vitally important, and meets a vital need. Continued community support is critcial for Ally’s House to continue helping each family who applies. 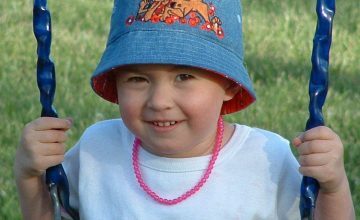 Ally’s House is named for Allison Faith Webb (Ally), who passed away in 2003 from kidney cancer, just before her 3rd birthday.